Rents have recovered to match their record high as the lack of mortgages pushes would-be homebuyers to rent property. With average rents hitting £692 per month in England and Wales, landlords are expecting income to rise to new peaks for the rest of the year. The Council of Mortgage Lenders, speaking for all the UK’s major banks and building societies, has already stated lending is likely to remain restricted for several months. Year-on-year, rents are up 4.4% and yields are increasing as well – up to 5.1% as rents outperform house prices. David Brown, commercial director of LSL Property Services, said: “The rental market is heating up as thousands of would-be tenants have taken advantage of the weather and long weekends to hunt for new rental homes. LSL Property Services runs rental brands Your Move and Reeds Rains. Landlords in London and the south east were the biggest winners from improved rental income. Those in London enjoyed a 7.9% boost to an average £911 per month, while the south east surged 5.7% to £705 a month. The east of england was the only region to e=record a fall – down 0.8% to an average £705 per month. April rent arrears increased to 11.8% of all rent unpaid or late by the end of the month, up 2.4% from March. Landlords were owed £284 million, an increase of nearly 27% from the £224 million unpaid in March. This article is written by Amer Siddiq, founder of PropertyPortfolioSoftware.co.uk. Want to save time, money and effort managing your property portfolio? 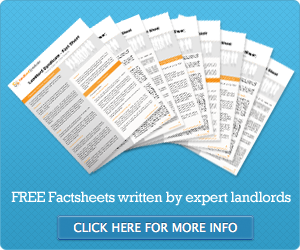 Then try the UK’s leading landlord software, Landlords Property Manager, today. It’s guaranteed to help you get better organised in every aspect of your property business. Click the link to learn more about this time saving property management software.